Credit union employment opportunities remain listed for up to three months from the initial posting date unless AVCU is asked to remove them sooner. To submit a new position, or to ask us to remove an employment opportunity that is no longer active, please email us. AVCU is not liable for the content, veracity, or continued availability of any position listed below. Most recent update: 4/19/19. Wyrope Williamsport Federal Credit Union, located in South Williamsport, Pennsylvania, with $35 million in assets, is currently in search of a financial services executive to replace their retiring President/CEO. The selected individual will work with the board of directors to enhance the growth of the credit union through loan production, membership growth, and creative marketing initiatives. Additionally, this individual will be responsible for maintaining a very experienced team, ensuring operational efficiencies & compliance, and strengthening recognition in the community. The successful candidate will have five plus years of management experience within a financial institution, a fundamental understanding of credit union operations, proven leadership qualities, and communication skills. Please include reference number 1162 when applying. Since 1957, Wyrope Williamsport Federal Credit Union has provided a complete range of low-cost financial services to thousands of members and their families. Credit union membership is for life, and once you’re a member, you’re always a member – whether you leave your current employer, retire, or move away. The credit union also invites you to extend the same membership privileges to everyone in your family. Today, Wyrope Williamsport FCU serves more than 5,000 members in Lycoming County and offers lower rates, higher savings rates, and low-cost services their members can benefit from. From electronic services such as remote deposit, to excellent loan rates for automobiles, RVs, motorcycles, and more, there are so many reasons to become a part of Wyrope Williamsport FCU. To apply, contact Sara Arias, Executive Search Recruiter at 832-200-8718 or email sarias(at)curesources.coop. PrimeWay Federal Credit Union, located in Houston, Texas, with $500 million in assets, is currently in search of a Vice President of Business Banking. In this role you will be responsible for the strategic development, growth, quality, and profitability of commercial lending, commercial deposits, and all business services of the credit union. This is a unique opportunity to lead and grow an important department within the organization. As the market leader, you will be a key player in developing perspective clients. You will actively assist your team with client discussions, financial analysis, deal structuring, and generating solutions within the market. Additionally, you will have the opportunity to direct the entire business services department including development of policies, compliance protocols, portfolio management, vendor relationships, and reporting. Five plus years of related experience, proven leadership skills and strong vendor management experience are required. Bachelor’s degree preferred. Please include reference number 1166 when applying. PrimeWay Federal Credit Union has enjoyed a long history as a reliable and trustworthy credit union in the Houston area. Chartered in 1937, the credit union was organized as the Houston Telephone Federal Credit Union to serve the employees of Southwestern Bell in the Houston area. Today, with six branches and a field of membership that includes Houston, Fort Bend, Washington, and most of Harris County, PrimeWay FCU serves more than 47,300 members and over 150 employers. Through their new management strategy coined as “CARING” for Compassion, Accountability, Real Value, Integrity, New Ideas, and Guidance, the credit union made it their mission to create an environment where people love to work and to do business. Now, PrimeWay FCU has been recognized as one of the nation’s top 101 companies to work for in 2015 by The National Association of Business Resources. Located in Houston, Texas, Plus4 Credit Union, with over $122 million in assets, is currently in search of an Assistant Vice President of Lending to oversee their lending functions and support credit union operations. The primary responsibilities in this newly created role will be to manage underwriting, evaluate the product mix within the portfolio, credit analysis, assist in retail sales, and analyzing lending trends. This is an excellent opportunity for someone to expand their experience base beyond lending. Additional responsibilities will include overseeing risk management, compliance, marketing, and training. The successful candidate will have a diverse consumer lending background, proven analytical skills, and exceptional leadership qualities. Credit union experience and bachelor’s degree are required. Please include reference number 1164 when applying. Since 1929, Plus4 Credit Union has proudly served the financial needs of postal workers. Today, the credit union is dedicated to empowering families with affordable financial solutions that extend to a wide variety of members. The credit union is proud to offer many different products and services to their members such as savings accounts, checking accounts, auto loans, credit cards, mobile banking, and many other loan types. Plus4 has three branches in the Houston metropolitan area and serves more than 18,500 members. Continuing in the tradition of over 85 years of helping people improve their lives, Plus4 continues to grow and serve the Houston area with dedication and commitment to the community. To apply, contact Reagan Pugh, Executive Search Recruiter at 832-200-8713 or email rpugh(at)curesources.coop. Cooperative Teachers Credit Union, with $115 million in assets and located in Tyler, Texas, is currently in search of a Vice President of Accounting to lead the accounting operations of the credit union. This role will handle the daily operations of the accounting functions including accounts payable, wire transfers, fixed assets, share draft clearings, ACH clearings and all general ledger & bank reconciliations. The credit union will look to this individual for the preparation of financial reports, including monthly board reports and quarterly call reports, as well as preparing analysis of operations for management. The ideal candidate will have five plus years of proven management experience within a credit union, possess strong analytical skills, and have a thorough understanding of NCUA regulations. Bachelor’s degree is required. Please include reference number 1160 when applying. Cooperative Teachers Credit Union serves more than 6,000 members in the Tyler, Texas area. Since being chartered in 1953, Cooperative Teachers has maintained a purpose of creating a thriving, cooperative financial institution that helps their members achieve their financial goals by offering comprehensive financial products and services that they can receive in person, online, or wherever they may be. Cooperative Teachers offers many different innovative products and services to their members such as Mobile Banking through the CTCU OnTheGo app. The credit union demonstrates the “people helping people’ philosophy in the Tyler community through the CTCU Foundation which focuses on financial literacy, community development and scholarships. Exceeding $930 million in assets, Fort Worth Community Credit Union, located in Bedford, Texas, is currently in search of an Assistant Vice President of Information Technology to complement their technology department. This is an excellent opportunity to coach and develop a good team of technology professionals and guide the credit union towards new innovations and technologies. The successful candidate will have sound networking skills, a fundamental understanding of core processing operations, and a diverse background in supporting technology. The ideal candidate will have five plus years of experience in a leadership capacity within a technology department, good vendor management skills, and a strong desire to provide outstanding customer service to internal and external customers. A bachelor’s degree is strongly preferred. Please include reference number 1158 when applying. Since 1940, Fort Worth Community Credit Union has offered an assortment of services to complement the lifestyles of all members. 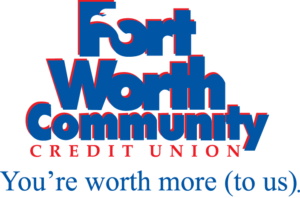 Fort Worth Community CU is not-for-profit and exists to provide a safe, convenient place for members to save money and receive loans at reasonable rates. Fort Worth Community CU serves more than 87,300 members through its 11 locations in Tarrant, Parker, Johnson, and Denton counties. The credit union believes that meeting the needs of their member-owners, employees, and the community is fundamental to fulfilling their mission: to be the best choice for friendly, competitive, and secure financial services! With that philosophy, Fort Worth Community CU is able to provide lower fees, additional services, and advanced technology to make sure their members are always getting the best banking experience. Committed to building relationships with borrowers, team members and community partners. Responsible for analyzing credit history and documentation related to the loan application, discussing member needs, recommending best products, assisting member to complete the real estate loan package and working with team throughout the loan process. Ideal candidate will successfully communicate the credit union difference, the mortgage process and set realistic expectations for members throughout the process. Approve or deny loan applications based on analysis of applicant loan documentation. Operate under moderate credit authority. Promote other credit union products and services. This is an accounting position that requires sound knowledge of Excel, general ledger transactions, fixed assets, balancing and reconciliations. Processes and analyze a variety of general ledger activity and performs various support functions as required as a part of the accounting function of the credit union. Work is performed under minimal supervision and in accordance with established procedures. Works in conjunction with others on the Accounting Team to ensure timelines are achieved. This is a service position that provides World Class Member Service to both credit union members and employees. Serves members promptly while representing the credit union in a friendly, courteous, and professional manner. Performs a broad variety of transactional duties to serve members. Provide consumer loans including installment, Visa and overdraft line of credit. Duties also include cross-selling products and services appropriate to member needs. Answers questions regarding credit union services provided and performs a variety of account maintenance duties. The duties of this position are performed primarily over the phone. This is a service position that provides World Class Member experiences to both credit union members and co-workers at all branches. Scan, edit, and file electronically loan documents utilizing the scanning system after all information has been verified and corrected. Update scan list, purge file and then file back. Scan, edit and file electronically all other important documents received such as titles, collection and miscellaneous paperwork from other departments. This is a service position that provides exceptional service to both credit union members and co-workers, consistently delivering the 9 Service standards with each contact. Serves members promptly and professionally representing the credit union in a friendly, courteous, and professional manner. Perform transactional duties to serve members by receiving or paying out funds with a high degree of accuracy. 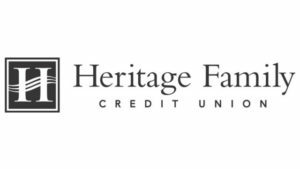 For more information or to apply for any of the above positions, visit Heritage Family Credit Union’s Careers page at https://www.hfcuvt.com/about-us/careers. The Quality Control Specialist primary responsibilities are to handle all closed end consumer loan quality control checks, including home equities, document control of all lending documentation. Performs audits on all closed end consumer loans and home equities to confirm compliance. Coordinates with loan officers to obtain corrected documents. Follows up on all loan and deposit maintenance and reporting. Provides back up to the BSA/AML Coordinator. Ensures that all data entry for loans made are accurate. Maintain a working knowledge of the credit union’s loan standards and governmental regulations. Monitors data change report to ensure proper documentation is submitted with the change. Follows up with employee to obtain missing components. Maintain a professional, courteous and friendly atmosphere for members and co-workers. One to three years of similar or related experience. Strong written and verbal communication, attention to detail, courtesy, and tact are essential elements. Commitment to the Credit Union’s Service Promises is required. Visit their website (www.vermontfederal.org) to apply and be sure to attach a resume. Applications without an attached resume will be considered incomplete. Vermont Federal Credit Union is recruiting for a Mortgage Loan Closer out of our Burlington branch. Accurately, and in compliance with lending requirements, prepare closing documents, assemble documents for delivery to Title Company and lending officer for closing. Review approved mortgage loans to determine conditions to be met at closing, while assuring interest rate, programs, payments and closing costs are accurate. Wiring and disbursing all funds for each mortgage closing transaction. Verifies accuracy and consistency of specifications on title abstracts, insurance forms, and other required documents. Follows up on questions regarding closing and provide support to the members and closing attorney’s prior to and during closings. This position will be cross trained in other duties within the department to provide additional support and coverage. Deliver outstanding service that is in alignment with the Credit Union’s Service Promises. One year to three years of similar or related experience. Knowledge of loan and deposit accounts preferred. Significant level of trust and diplomacy is required in addition to courtesy and tact. A high school education or GED. 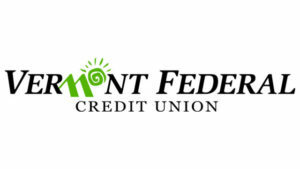 Vermont Federal Credit Union is seeking to fill an entry level IS Specialist position. Monitoring systems operations, establishing user profiles, user environments, directories, and security access on the Local Area Network (LAN). Primary contact for hardware and software issues and maintaining PCs and PC applications. Design and maintain systems documentation, processing logs and inventory of equipment and providing off-hours support, including on-call rotation. Consulting with computer operations management, supervisory staff, and various I.S. personnel to assure that I.S. standards for control, security, and recoverability are understood and followed. Troubleshooting hardware and software problems, providing resolutions in a timely manner, installing appropriate hardware or software, and maintaining and furthering technology knowledge of computer hardware and software. .NET, MS-SQL, IIS, and website administration experience is a plus. Knowledge, of computer system hardware, telecommunications equipment, operating systems and network components is required. As an Intern, you will gain valuable hands-op experience working at The Vermont Department of Financial Regulation in Montpelier, Vermont. We are seeking three interns who will rotate through various Departments including Legal, Banking, Insurance, Captives and Securities. You will apply your educational insights and learning in a real-world regulatory setting. The Interns will be responsible for various projects under the guidance of Department leaders. The Internship will include job shadowing, reviewing regulatory rules, participating in consumer service processing of complaints, financial analysis and examination and the legal process of Financial Regulation. Ideal candidates should be detail-oriented and well organized, have a strong desire to learn and apply knowledge and have the ability to exhibit effective interpersonal skills with a collaborative style. This is a paid internship and we provide supervisory support required to obtain college credits if needed and permitted by your college/university. Exceeding $355 million in assets, Security First Federal Credit Union, located in Edinburg, Texas is currently in search of a senior executive to serve as their President/CEO. Working in conjunction with the board of directors, this individual will be charged with developing strategic direction and executing tactical plans to advance the overall operations of the credit union. Initial responsibilities will be to enhance the organization’s technological footprint, strengthen marketing & branding efforts in the community, and implement service standards to improve member relations. Additionally, the board will look to this individual to represent the credit union in the community, solidify a high-performance management team, and expand the credit union’s membership base. The successful candidate will have extensive experience in leading teams, a proven ability to manage relationships with regulators, and a highly effective open style of communication. Five plus years of executive leadership experience within a credit union is required. Please include reference number 1150 when applying. Security First Federal Credit Union serves more than 45,000 members through its eight branches located throughout the Rio Grande Valley. For over 70 years, Security First FCU has prided itself as being “from the valley, for the valley,” and they are committed to exceeding their members’ needs and serving the community. The credit union was chartered in 1947 as Hidalgo Federal Credit Union to serve the employees of the federal government who resided in the Rio Grande Valley. Today, the credit union takes pride in being the largest “home grown” credit union in the Rio Grande Valley, and their focus is to help improve the financial lives of their members through innovative tools, resources, products, and services that address the needs of their members. To apply, contact contact Reagan Pugh, Executive Search Recruiter at 832-200-8713 or email rpugh(at)curesources.coop. Exceeding $355 million in assets, Security First Federal Credit Union, located in Edinburg, Texas, is currently in search of a financial executive to act as their Chief Financial Officer. Reporting directly to the President/CEO, this individual will strategically lead the finance and accounting operations to include asset liability management, investments, budgeting, financial reporting, and general accounting. Additionally, this individual will be looked upon to coach and mentor staff, create efficiencies, and evaluate existing accounting processes. The ideal candidate will also have strong board relations experience and be well versed in cultivating professional relationships with examiners. Five plus years of experience managing accounting and finance functions within a credit union is required. Please include reference number 1151 when applying. Exceeding $306 million in assets, Coastal Community and Teachers Credit Union located in Corpus Christi, Texas, is currently seeking a Chief Lending Officer. Reporting directly to the President/CEO, this individual will looked upon to develop a robust strategic lending strategy for the credit union. Responsibilities will include analyzing the loan portfolio to identify trends, growing loan volume, overseeing collections operations, developing loan promotions, product development, and building an in-house mortgage department. The successful candidate will have a diverse background in consumer and mortgage lending, possess strong analytical skills, demonstrate exemplary leadership qualities, and have an extensive background in managing collections. Five plus years of experience in managing a lending operation for a financial institution is required. Indirect lending, small business lending, and bachelor’s degree is strongly preferred. Please include reference number 1106 when applying. 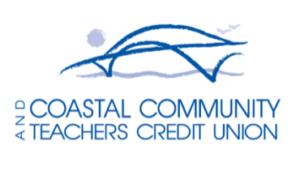 Coastal Community and Teachers Credit Union has nine branches serving over 35,000 members in Nueces, Aransas, Duval, Jim Wells, Kleberg, and San Patricio counties. Since 1993, Coastal Community and Teachers has been committed to forming a positive change in people’s lives. The credit union supports, sponsors, and participates in activities to benefit the local community throughout the year. Coastal Community and Teachers hosts and sponsors annual events for the community such as Howdy Daze, Steppin Up & Out for Kids Walk/Run, and Waffle Breakfast/Kids Got Talent. The FOCUS (For our Children’s Ultimate Success) Foundation was formed by the credit union in 2005, and since its inception the program has awarded over $169,000 to over 100 schools and organizations that assist the youth by providing uniforms, school supplies, after school or educational programs, and more. To apply, contact contact Chris Thomas, Executive Search Relationship Specialist at 469-385-6623 or email cthomas(at)curesources.coop. Located in Houston, Texas, Harris County Federal Credit Union, with over $160 million in assets is currently in search of a Vice President of Information Systems to lead the technological operations of the credit union and oversee the accounting and plastics department. Reporting directly to the President/CEO, this individual will be responsible for researching and launching new technologies for the credit union, supporting help desk support, and vendor management. The ideal candidate will have strong project management skills, be very analytical, possess a good foundation in core processing, and have extensive experience in network security. Three plus years of leadership experience in an information technology environment is required. Bachelor’s degree is a plus. Please include reference number 1156 when applying. A little lady with a big dream began a legacy that has lasted for more than 60 years. With the support of Harris County officials and others, Thelma Joyce Alsup, a hard-working employee in the sheriff’s department, established Harris County Federal Credit Union in 1951 with the commitment of providing affordable loans with reasonable interest rates for all county employees. Today, Harris County FCU has one branch location that serves over 18,500 members throughout Harris County with a full spectrum of financial solutions including checking accounts, savings accounts, investments, and competitive lending solutions. To apply, contact contact Sara Arias, Executive Search Recruiter at 832-200-8718 or email sarias(at)curesources.coop.